"My body is strong but my soul is stronger," the actor said. 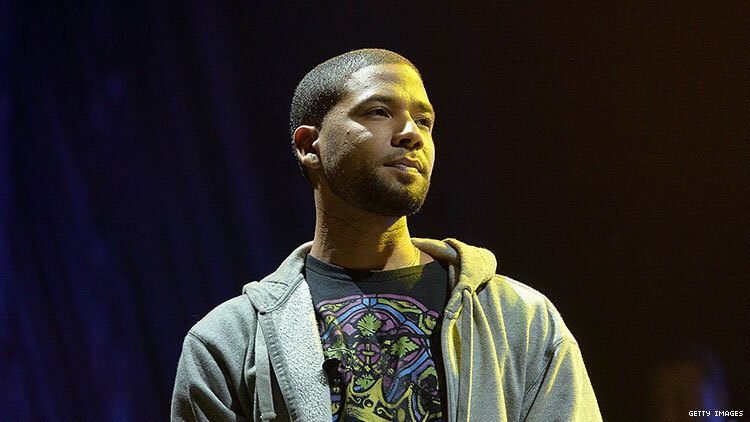 Jussie Smollett has just spoken out about the racist, homophobic attack that left him hospitalized with a fractured rib. BREAKING: Jussie Smollett breaks his silence. Smollett also talked about the ongoing police investigation. The attack took place Tuesday morning in Chicago, where two unknown suspects yelled racial and homophobic slurs at Smollett, poured a chemical substance on him, wrapped a rope around his neck and, according to Smollett, yelled, “this is MAGA country.” They then fled the scene and the singer was taken to Northwestern Hospital, where he was later discharged. Smollett also talked about other LGBTQ+ people who are affected by violence and the statement that his family released earlier this week. Earlier this week, Smollett’s family called the actor a “warrior whose light cannot be dimmed” and added, “Make no mistake, words matter. Hateful words lead to hateful actions. Radical love is the only solution, but passivity will be our downfall. We, as a family, will continue to work for love, equity and justice until it reigns supreme in our nation and all over the world.